The Galaxy S5 is a little out of date, but it’s still used by many who would love to get into VR. While it’s very easy to find a Galaxy-compatible headset, it’s harder when you will need something that will work with the S5. 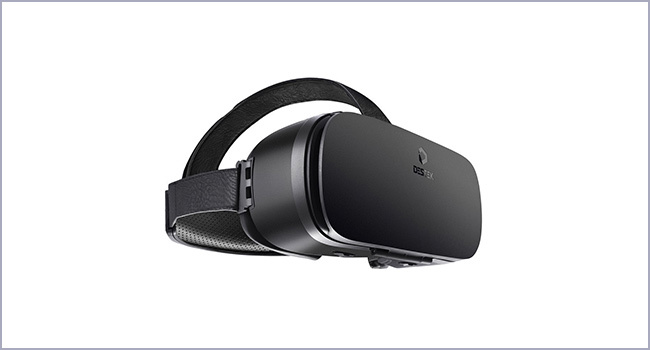 That’s the purpose of this article – to help users understand what goes into determining the best VR headset for Galaxy S5. The units on this list were chosen based on factors like aesthetics, price, utility, and user reviews. A few of the headsets on our list really stand out. These are the top five best VR headsets for the S5 currently in production, and taking a look at their specs gives you an idea of what makes a great headset for this device. The Voxkin is cheap, frequently on sale, and compatible with Google Cardboard apps. 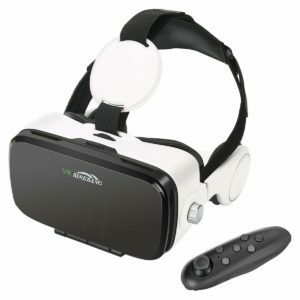 While there are many other headsets that can boast more, these factors help to make this the best vr headset for galaxy s5 if you are just looking to save money. It has a reasonable if uninspired presentation and it will work well enough with most apps, though a controller would really make the entire experience better. If you just want something that works, though, the Voxkin is an exceptionally good place to start. The Destek V4 is a really good example of how a basic headset can nonetheless be considered a contender for best VR headset for Galaxy S5. For good or ill, there’s not a lot special here. On one hand, that’s a definite con – the lack of special features means you’re not going to get a very unique experience. On the other, it’s a definite pro because everything works very well. This is a starter set, of course, and it won’t match the experience you get from a better headset but it will serve you very well. 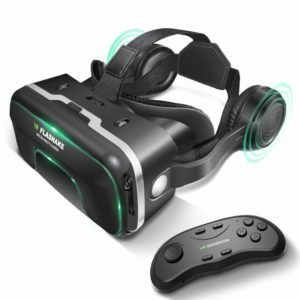 Relatively inexpensive and prone to being on sale, this can be a great unit for those who want to get started with VR. 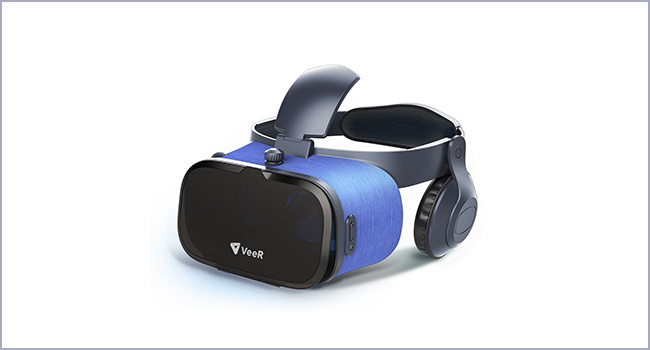 The VeeR Oasis is a solid headset that is easy to customize. You can tweak the lenses to your heart’s content and adjust the headset to make it even more comfortable than it already is. This, combined with a very solid field of view, makes it one of the more pleasant experiences for watching movies in VR. Games are more difficult, though, since the unit lacks either an action button or a controller. It is a mid-priced headset that lacks a lot of bells and whistles, but it’s nonetheless one of the best VR headsets for Galaxy S5 when it comes to simply watching video in VR. 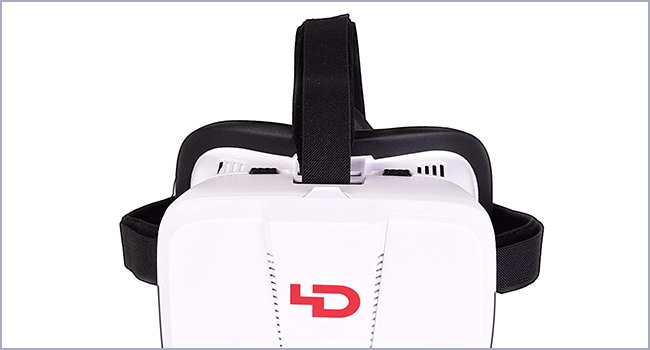 The 4 Dimensions Virtual Reality Headset is one of the quickest to set up on the market. Pull it out of the packaging and you’re good to go – you probably won’t have to take your phone out of your case. This is balanced by the fact that the device doesn’t look or feel great, but it’s going to get you to VR faster than almost any other device out there. There’s no button or controller here, though, which does get in the way of playing some of the better VR games. At its incredibly low price point – which does include free shipping with Prime – it’s more understandable that it lacks in some high-end features. 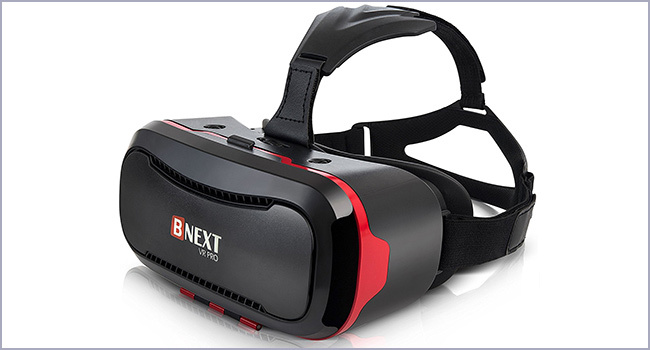 BNext’s VR headset is perhaps the best no-frills VR headset for Galaxy S5 on the market today. It doesn’t have many special features, but it does VR particularly well. 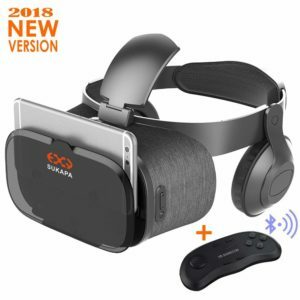 It has a very solid field of view and holds your phone fine, though you might wish for something that’s a bit more comfortable if you play with this headset for a lengthy period of time. Even with that said, it’s a solid unit that isn’t terribly expensive and that you can frequently buy with free shipping. It’s a good example of a starter VR kit and one of the best when it comes to just giving you a good VR experience. When it comes to Sytros, VR is all about the lenses. The headset makes use of high-quality lenses to create a better VR experience, which tends to result in less blurring and less nausea for those who are prone to motion-sickness. It also has active button support, which allows players to use most apps that are compatible with Google Glass. It’s got its cons, of course, with a less-than-stellar construction and some real shortcomings insofar as repairs are concern, but it’s still one of the better headsets that you’ll find for the Galaxy S5. Zikon’s 3D VR Headset is a big, blocky device that’s far better for viewing movies than it is for playing games. 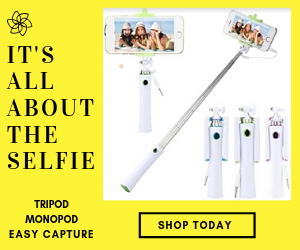 Though the design is definitely not the most ergonomically-correct out there, it provides a great field of view at an incredibly low price. Frequently on sale and well-reviewed by most users, this headset also comes with a controller. Though it’s marketed for use in watching movies, this controller makes it much easier to play higher-end VR games. 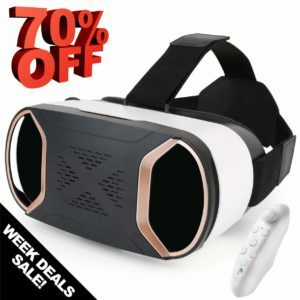 Though you’re not necessarily looking at the most game-friendly headset out there, this is perhaps the best VR headset for Galaxy S5 when it comes to watching movies. Homido’s Grab isn’t a particularly pretty virtual reality headset, but it does the job very well. 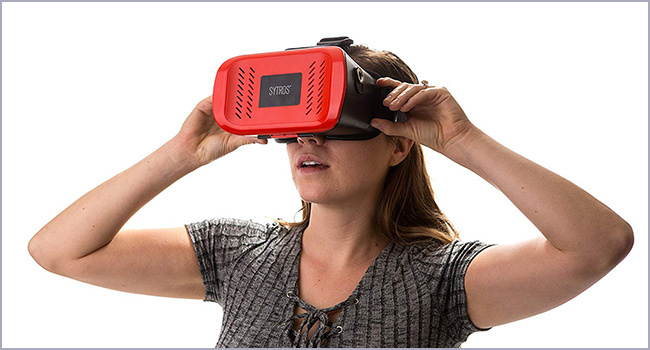 Blocky and a bit ugly, it can house your phone and provide a stellar VR experience that puts in the running for best VR headset for Galaxy S5. A particularly useful function of this device is included in its Homido VR Stream app, which lets users browse movies without ever having to leave VR. The device does not have an included VR controller, but it does have an action button – something that makes it much easier to browse apps in VR and to play certain high-end games. Canbor’s VR headset is a really good example of how to make a great product for a relatively low price. It’s an ergonomically-designed headset that continues to feel comfortable as long as you play, one that has not only built-in headphones but also a built-in microphone. Though the device does lack a controller, it is compatible with bluetooth controllers – a must-have if you want to play some of the more immersive games out there. It’s very close to the top of the list largely because it offers such an amazing experience for such a low price. This is one VR headset that often manages to do more than expected and thus is a contender for best VR headset for Galaxy S5. 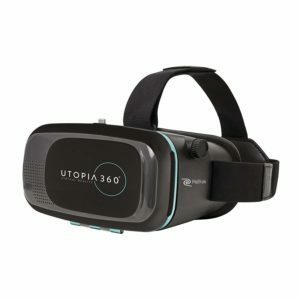 With an expansive field of view, a relatively deep roster of available apps and a very comfortable design, this VR Empire model may well be the best VR headset for Galaxy S5 on the market today. While it’s missing some of the features that are important to truly immersive VR like a controller, it works so well with the phone that it’s often easy to miss those features. Rather than looking at what this VR unit lacks, it’s more important to look at what it has – including a user-friendly design and solid construction. Combined with a very inexpensive and stable price-point, this really is one of the first VR units at which Galaxy S5 owners should look. These are just ten of the best VR headsets for the S5 currently being made. It’s not a comprehensive list, though – there are plenty of other great headsets out there. If you’ve got experience with one of these headsets – or if you know of another headset that should have made the list – please take the time to get in contact with us today.